My kiddos love having fun holiday themed activities on our shelves at Christmas time. They get so excited, choosing work they wouldn't ordinarily choose because of the subject content. What's not to love about Christmas? 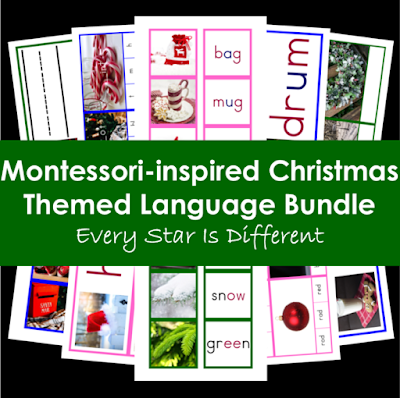 The Montessori-inspired Christmas Themed Language Bundle is the perfect addition to any classroom at home or at school. It promotes the learning of the beginning, intermediate, and advanced language curriculums while working with fun Christmas pictures and words. Materials are designed for use by all children whether they are advanced with their reading and writing skills or delayed. This 113 page bundle was created for use in the Montessori preschool and early elementary classrooms. Let's take a closer look at what's inside! Each set of activities utilizes 12 words related to Christmas. There really is something for everyone here, no matter your child's language skills and abilities! 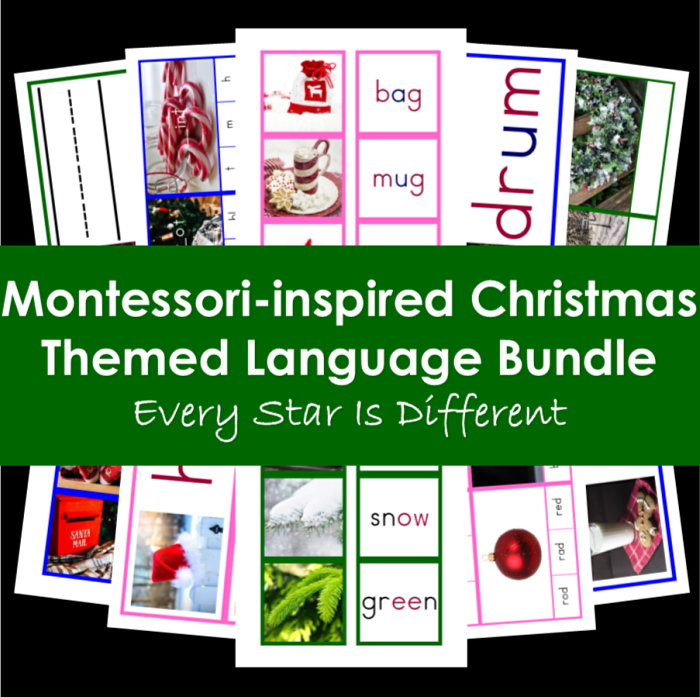 How do you purchase the Montessori-inspired Christmas Themed Language Bundle?